Enjoy all the benefits of being a member by signing up today! 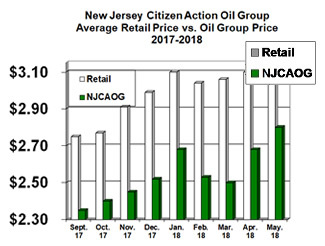 Started in 1983, the New Jersey Citizen Action Oil Group (NJCAOG) is comprised of thousands of New Jersey heating oil consumers who have joined together to say "NO" to high priced heating oil. Members pool their buying power and save money without sacrificing the quality and dependability of a full-service oil company. Our mission is to use collective bargaining power to negotiate discounted prices on heating oil and act as an information resource and advocate for New Jersey heating oil consumers. Heating Oil is not Just for Winter!